Product prices and availability are accurate as of 2019-04-21 23:19:28 UTC and are subject to change. Any price and availability information displayed on http://www.amazon.com/ at the time of purchase will apply to the purchase of this product. 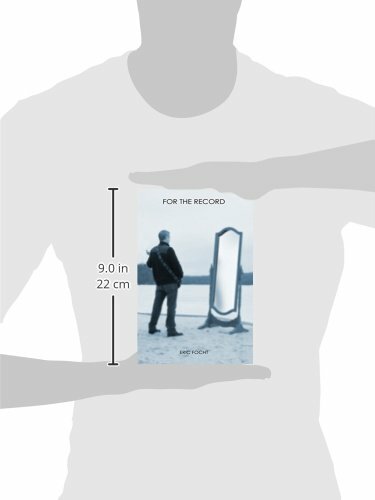 Author Bookstand is proud to offer For the Record by Bookstand Publishing. Bookstand Publishing offers books by the best indie authors throughout North America and the world. Bookstand Publishing is dedicated to offering original content to a broad audience and promoting great authors, literacy, and freedom of expression. For the Record has generated a lot of interest and excitement and we think it would be an excellent addition to your library. 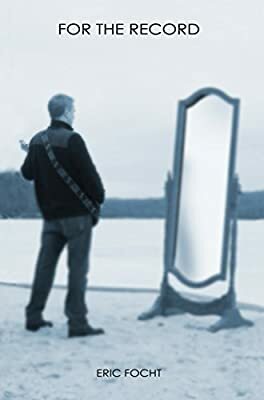 At the height of his musical career, Eric Focht was in contract discussions with record producers of such famous musicians as and David Bowie, Trent Reznor, and U2. 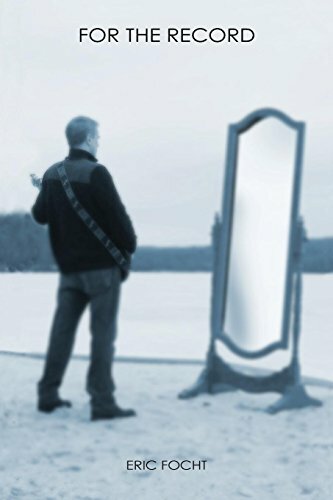 "For The Record" is Eric's autobiographical story of his difficult attempt at fame and stardom - and much more. His memoir is a deeply moving cautionary tale, from his earliest days as an adopted child, all the way through to his darkest hour of personal anguish four decades later. Eric talks candidly about the odyssey of his unorthodox life; of his pressures as a preachers' son in a small town; of his sexual adventures at an alarmingly young age; of his unique musical education in college; of his distressing, difficult days in the rock band EGO; of his emotionally empty marriage; of his misguided misogyny in his 30's; and of his near fatal battle with alcohol and depression. 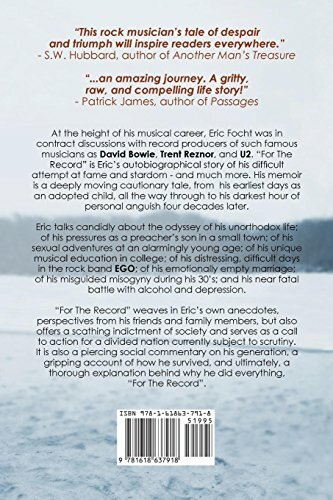 "For The Record" weaves in Eric's own personal anecdotes, perspectives from his friends and family members, but also offers a scathing indictment of society and a call to action for a divided nation currently subject to scrutiny. It is also a piercing social commentary on his generation, a gripping account of how he survived, and ultimately, a thorough explanation behind why he did everything, "For The Record."